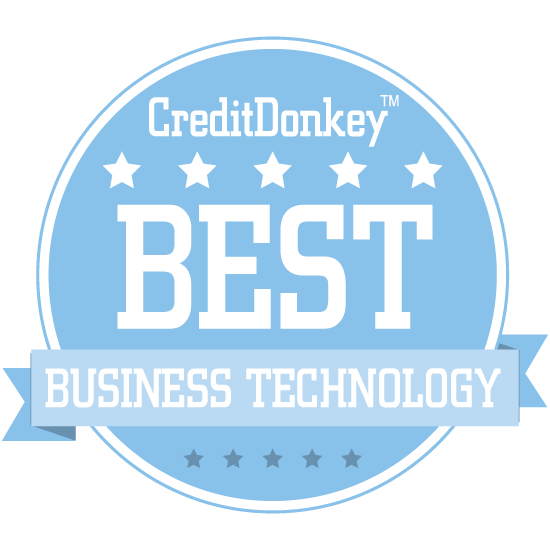 Winners of the CreditDonkey Best Business Technology have been announced. These companies' innovations are transforming how business gets done. Looking for efficiencies? Need to have things run more smoothly in your business? Chances are there's a solution for a business problem you're having but you just haven't found it yet. It may be on this list. Starting a business and bringing a new idea to market keeps getting easier - and that means great ideas that can help make your business life easier are available. Automated processes can save you money and free up time. Streamline how you recruit, market your services, make appointments, and get paid - "there's an app for that" is now actually true. 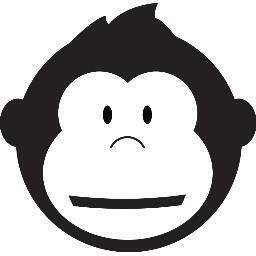 CreditDonkey encourages consumers and small business owners to comparison shop to make sure they're spending their money wisely and getting the most value for their funds. By viewing these business innovations side by side, your next challenge will be deciding where to invest next! Citrix aims to revolutionize digital business by keeping people, organizations, and ideas connected everywhere, any time, through their development secure delivery methods for applications and data. Why RightSignature is a Top Business Technology: With their new technology, workers will be able to access apps and data from anywhere, securely, allowing for a truly digital workplace. They can even deliver Windows 10, Linux, web, SaaS, and full virtual desktops to any device, securely, for your employees. Untangle is innovating the cybersecurity field with products designed for below-enterprise operations, offering total security to schools, small businesses, nonprofits, and even home offices. CEO Scott Devens has more than 25 years of executive experience in the security, data integration/middleware and storage industries. Why Untangle is a Top Business Technology: Their suite of software and appliances combines enterprise-grade capabilities with consumer-focused simplicity, so organizations with limited IT resources can use them. Check out their website to learn more about the clients they serve and the issues they can help you solve. Grasshopper is a full-featured virtual phone system that lets users run their business from their cell phone. Why Grasshopper is a Top Business Technology: You can pick an 800 number for your business, record a custom greeting, and even create a customize extension so you can forward calls to your cell, office, or home phone. Their platform even allows you to get voicemail and faxes delivered straight to your email, and will transcribe your voicemail so you can read it. 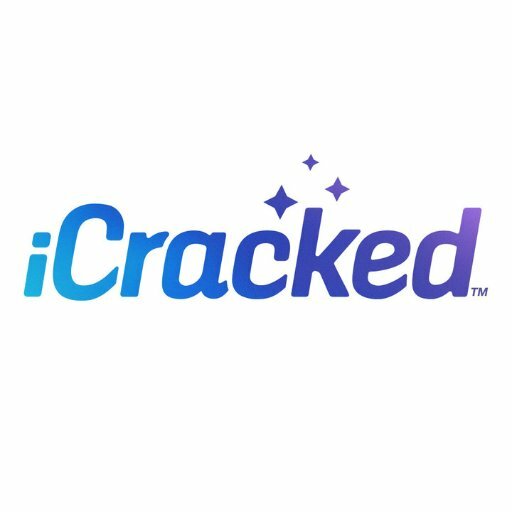 iCracked is an on-demand device repair service that will come to you and fix your iPhone, iPad, or Galaxy. CEO and co-founder AJ Forsythe is an entrepreneur who created iCracked while still a student at Cal Poly-SLO, while Chief of Strategy and co-founder Anthony Martin is an entrepreneur who is always looking for new value propositions to offer customers. 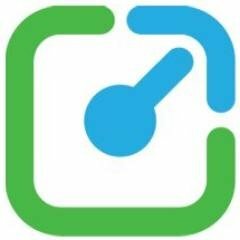 Why iCracked is a Top Business Technology: It's incredibly easy to use: just visit their website, tell them what happened to your device, and they'll dispatch a certified technician to fix your problem in an hour or less. Every one of their professional technicians is rigorously verified with background checks and certification requirements, so you can be rest assured that they are prepared to repair your device. Workable is an all-in-one recruiting platform with powerful online tools and a clean, easy-to-use interface built to help companies source and manage candidates. Why Workable is a Top Business Technology: Their applicant tracking system makes it simple to create a visual hiring pipeline, schedule interviews, and create candidate scorecards and evaluations. They even have a Chrome extension called ""People Search"" that will save your recruiters hours of time with instant resume and email look-up. HubSpot offers a suite of inbound marketing and sales software packages that are powerful alone, but even more so when used together. Co-founder and CEO Brian Halligan was previously a venture partner at Longworth Ventures and VP of sales at Groove Networks, while CTO and co-founder Dharmesh Shah was previously the founder and CEO of Pyramid Digital Solutions. Why HubSpot is a Top Business Technology: Their free CRM software helps you manage your pipeline with ease, while their marketing software makes it a snap to create and automate, then measure and optimize all of your marketing in one handy place. With over 21,000 customers in over 90 countries already on board, it's time to check out HubSpot's website and see how they can help you grow your business. Maker's Row offers an end-to-end manufacturing process, helping businesses get production started in a pain-free manner. 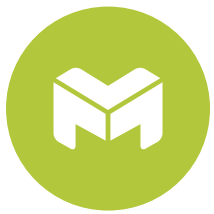 Why Maker's Row is a Top Business Technology: They'll give you all the resources you need, including in-depth profiles of the more than 10,000 factories on Maker's Row so you can find the perfect manufacturing partner. You just create a project to organize all of your ideas and details, then send it to your favorite factory as a reference. Kinnek aims to make purchasing painless for businesses, saving them time and getting them better prices. Co-founders Rui Ma and Karthik Sridharan created Kinnek to empower small businesses to take control of their own purchasing operations using the power of technology. Why Kinnek is a Top Business Technology: You just tell them what you need, and you'll receive competitive quotes from top suppliers within three business days. They'll also provide you with supplier ratings and reviews from businesses like yours, so you can make an informed decision. Gusto offers online HR services, making payroll, benefits, and other operations easier than ever. CEO and co-founder Joshua Reeves was selected for the 2012 Forbes 30 Under 30 list and was previously the CEO and co-founder of Unwrap, a SaaS startup, while co-founder and CTO Edward Kim was the CEO and co-founder of Picwing, a Y Combinator startup and photo printing platform prior to helping create Gusto. Why Gusto is a Top Business Technology: You can save time by automating taxes, W-2's, and worker's comp, find affordable health plans with help from experienced advisors, and access all employee records in one handy place. Their software is built to be intuitive and easy to use, and if you run into any trouble, their friendly, U.S.-based customer support is on call to help. Mhelpdesk is field service management software that lets clients spend less time organizing their business and more time doing it. Why Mhelpdesk is a Top Business Technology: It's easy to set up and easy to use, with mobile apps that let you send workers to jobs via SMS or through a mobile app, so field communication is always seamless. Their billing platform will help you eliminate double data entry, and their field service software integrates easily with QuickBooks. Autopilot offers email marketing and marketing automation software that helps businesses capture leads with automated online and offline messaging. Founded in 2012 by brothers Mike, Chris, and Peter Sharkey, Autopilot aims to fill a gap in the market for automation software that's as simple to use as a whiteboard. Why Autopilot is a Top Business Technology: It helps you personalize each customer's experience by sending targeted emails, in-app messages, SMS, and more at the perfect point in their customer journey. Autopilot also helps you get more from the data you capture, connecting to Salesforce, Slack, and more so you can build a rich view of your marketing contacts. LocalOn aims to empower business associations and local merchants with powerful web marketing tools that produce results and enrich communities. Co-founder Shahbano Imran has a background in software development and UI/UX design that gave him the experience to turn ideas into products, while co-founder David Tolioupov has an extensive professional background that includes leading a software development team at the Israeli Air Force. 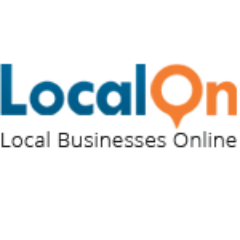 Why LocalOn is a Top Business Technology: They help merchants associations build beautiful, powerful websites with the latest tech, including SEO and web marketing. Each site also offers a powerful business directory, individual marketing for members, event promotion, and much more. Bento offers full-featured employee expense cards that are built exclusively for business. Founder and CEO Farhan Ahmad has held leadership positions at a number of financial institutions, including Barclays, Discover Financial Services, and JPMorgan Chase. Why Bento is a Top Business Technology: Their cards bring you real-time control over employee spending; you can set budgets on expense cards or single-use utility cards, like gas cards, and you can turn them on and off with a click. You can instantly see where your business' money is going and who's spending it, and Bento even lets you easily export all of these expenses into QuickBooks and other accounting services. ReachLocal is a digital marketing service for local businesses that combines powerful technology with a dedicated team to help you reach more people with your marketing. Why ReachLocal is a Top Business Technology: They'll help you manage your web presence, making sure you show up wherever your customers are online and that your website looks great. Their powerful lead management software also makes it easy for you to track and manage your leads so you can gain invaluable insights into your marketing strategy. Netsertive uses dynamic learning technology and data to remove the guesswork from digital marketing. CEO and co-founder Brendan Morrissey has 20 years of experience in the mobile/wireless, online, telecom and marketing technology spaces. Why Netsertive is a Top Business Technology: Their tech leverages your industry network to search out the online prospects that are ready to buy in person, right away. It's used by many top national brands, but local businesses will also receive top-notch support to help them rise to the top of their local market. SiteJabber is a resource for consumer reviews of online businesses; it's easy to discover new businesses and review ones you've used. 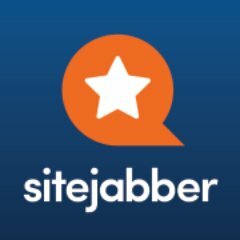 Why SiteJabber is a Top Business Technology: This is the only site of its kind that doesn't charge businesses to manage their reputation; owners can respond to reviews but can't pay to remove the bad ones. This results in a system that's fair for both customers and businesses, and more informative for users. Pure Chat is free live chat software for your business website that can help increase sales. Why Pure Chat is a Top Business Technology: Visitors prefer live web chat over phone and email, and it enables your customer service team to engage visitors instantly, resulting in an increase in conversions of up to 300%. Pure Chat's program also offers visitor analytics, so you can see every person who's on your website, identify traffic patterns, and engage visitors at the perfect time. 71lbs works to help businesses claim FedEx and UPS shipping refunds so you can focus more on your business. 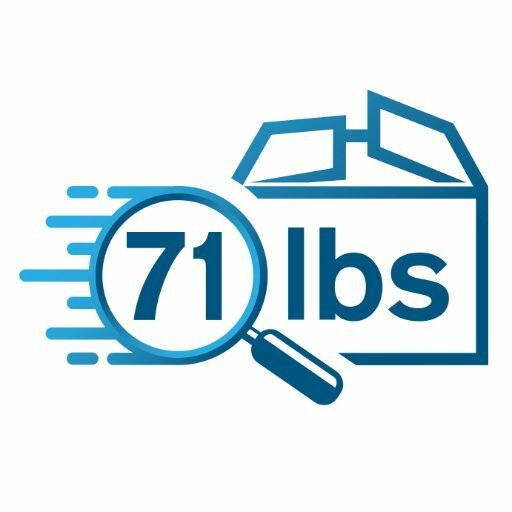 Why 71lbs is a Top Business Technology: They track your shipments and will audit and claim your refunds for late deliveries and damaged packages. Not only does this save your company the trouble of doing it themselves, but 71lbs can find refunds that you might miss, saving your company money. Speek makes conference calls easy, with no pins, no dial-ins, and no downloads to mess with. Why Speek is a Top Business Technology: Not only do they make calling easy, but they make it look good too, with branded conference pages and a one-click screen share feature. With straightforward, affordable pricing, you'll be making conference calls with a single click in no time. Textio is an augmented writing platform that helps businesses create highly effective job listings. Co-founder and CEO Kieran Snyder previously held product leadership roles at Microsoft and Amazon, while co-founder and CTO Jensen Harris led the creation of widely-used and innovative software like the Ribbon user interface of Microsoft Office and Microsoft Surface's touch user interface. Why Textio is a Top Business Technology: Their technology analyzes the outcomes of over 10 million job postings per month to find what works and offer you real-time guidance on how to improve your own listing. With Textio, you'll get more qualified applicants and more diversity, all while speeding up your hiring process. Shake is software from LegalShield that makes it simple to create, sign, and send legally binding agreements in moments. Why Shake is a Top Business Technology: Just answer a few questions to specify the terms, then sign with easy mobile signature software and send. From non-disclosure agreements to freelance agreements, loans, and more, Shake makes legal documents easy. 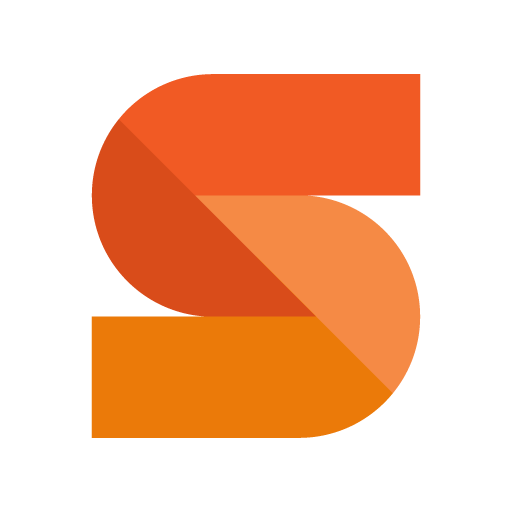 SeamlessDocs is focused on helping governments convert all of their PDFs and forms into smart, secure online versions that can be easily eSigned from any device. Why SeamlessDocs is a Top Business Technology: Their aim is a completely paperless government in which citizens will never again have to print and mail forms, or even scan anything. It even implements easily; local governments can be up and running with Seamless in 24 hours. UpCounsel aims to make finding legal services easy, offering on-demand counsel from top attorneys. Why UpCounsel is a Top Business Technology: Just post your job, get proposals from qualified attorneys, and hire your lawyer. Users can hire instantly with just a single click, and you can save up to 60% over going with a traditional law firm. Pluggio is an all-in-one management suite for Twitter that helps users from individuals to businesses easily grow and manage their social media. Founder Justin Vincent created Pluggio in 2009 to make it easier to source content and spread out the posting of it to better engage his Twitter audience. Why Pluggio is a Top Business Technology: The platform's tools help you organize and track multiple accounts, find new friends, and build your following. 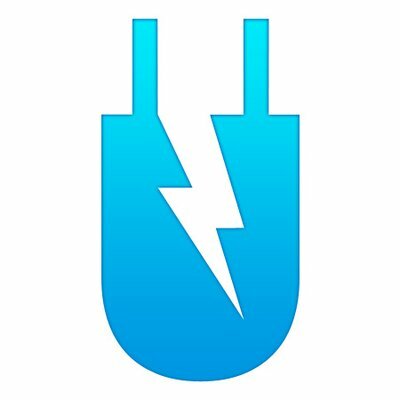 You can even plug into your favorite blogs and websites, and Pluggio will find and post great content from them for you. Realtime Board is an online whiteboard and collaboration tool for agile product teams, marketers, creatives, and more. Why Realtime Board is a Top Business Technology: Their infinite whiteboard makes it easy to collaborate in real-time, and it organizes all of your work in a simple, visual way. They offer hand-crafted templates to choose from, each designed for any task, including brainstorming, user story maps, retrospectives, and any other you can think of. Indico applies machine learning for human use with tools that can transform the way you do business. Why indico is a Top Business Technology: For example, it can search a user's Twitter posts and find articles that will appeal to that user, or study an image and find other images that are similar to it. This technology's applications are wide-ranging; it's being used in marketing, media, finance, retail, and more. FetchRev is a marketing solution that aims to drive foot traffic and repeat business to your physical location. Why FetchRev is a Top Business Technology: With basic contact information and a credit card, customers can say yes immediately to any offer you send them. FetchRev also helps ensure that your customers see your offers, whether in email, Facebook, Twitter, or Google; they'll see your offers on the sites they love. Crowdskout is a CRM built specifically for nonprofits, advocacy groups, and campaigns. Why Crowdskout is a Top Business Technology: It has a huge number of applications: it offers data analysis and visualization, highly targeted email campaigns, canvassing campaigns complete with walk lists, and much more. With Crowdskout, you can collect more data, better analyze your audience, and adjust your outreach for the best possible results. 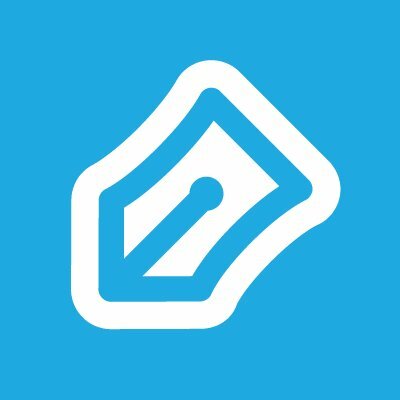 FairClaims aims to help resolve small claims disputes without going to court, all online. Why FairClaims is a Top Business Technology: If someone owes you money, you can sign up with FairClaims, make your case, get an arbitrator, and go through a 15-30 minute online ""hearing"" to receive a legally-binding decision. The whole process takes just three weeks and is entirely online; it makes small claims disputes easier than ever to resolve. ReviewTrackers is a handy tool for businesses that sends alerts for each new review from Google, Facebook, Trip Advisor, and over 80 other resources. 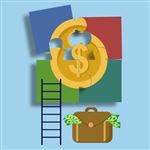 Digital marketer Chris Campbell founded ReviewTrackers in 2012, and it has since won numerous awards and raised $6.1 million in total financing. Why ReviewTrackers is a Top Business Technology: This lets you easily and quickly respond to customer feedback, resolve complaints, and improve your brand's image. ReviewTrackers also makes it easy to request reviews from your happiest customers, track the performance of individual locations, and more. Signpost offers CRM software that's built to empower local businesses to build long-lasting customer relationships. Before launching Signpost in 2010, founder and CEO Stuart Wall worked at Bain & Company, providing strategic advice to Fortune 500 companies and private equity firms. Why Signpost is a Top Business Technology: Their digital marketing assistant, Mia, works around the clock to find smart marketing opportunities for your business. It captures prospects, even if you miss their call, analyzes data to help you craft better marketing messages, and even nudges customers for reviews. Cloud Telecomputers are the makers of Glass, a desktop phone with a touchscreen that offers over 1,000 features. 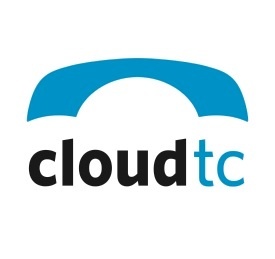 Why Cloud Telecomputers is a Top Business Technology: With one-touch calling, instant screen sharing, integration with Outlook contacts, and much more, Glass combines the usability of the Android platform with enterprise-level functionality. It also boasts great HD audio quality and customization options so you can tailor your phone to suit your business' needs. 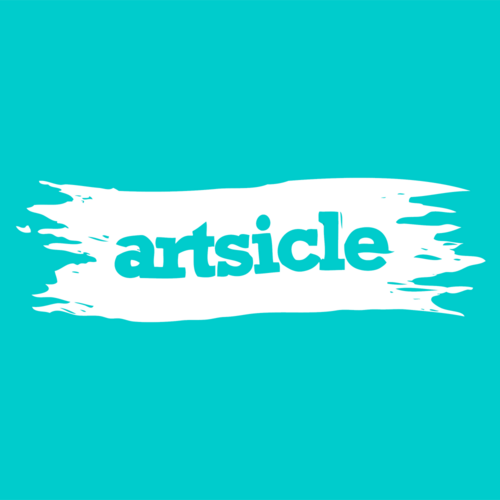 Artsicle is an online marketplace where art lovers can discover new works and artists. Co-founder and CEO Alex Tryon is currently a NYC Venture Fellow and previously worked at American Express, while co-founder and CTO Scott Carleton was a nuclear engineer for Westinghouse and founded the startup Breakout Developments. Why Artsicle is a Top Business Technology: They're bringing the art industry into the modern age with amazing, top-notch artists and stunning work. If you love art and are looking for an easier way to explore, discover, and add to your collection, check out Artsicle. Deliv offers same-day local delivery service for small business, enterprise, and individuals. Why Deliv is a Top Business Technology: You can use them to send a package across town or ask them to pick something up for you and have it delivered, sometimes in less than an hour. 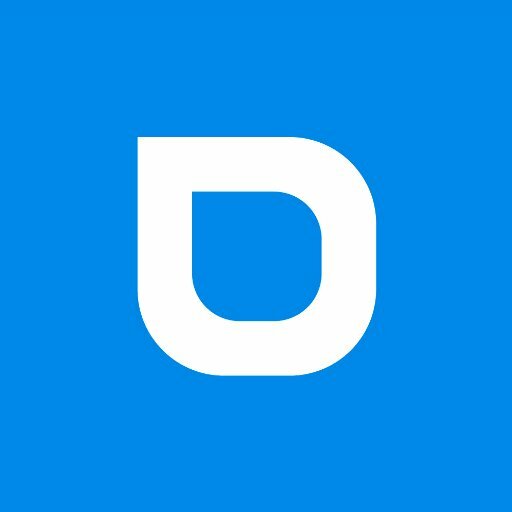 Deliv was designed exclusively to revolutionize last-minute delivery and returns, and they offer your business affordable, predictable, and flexible same-day delivery. HireAthena offers automated accounting and HR software that puts everything in one place: bookkeeping, payroll, benefits, and more. 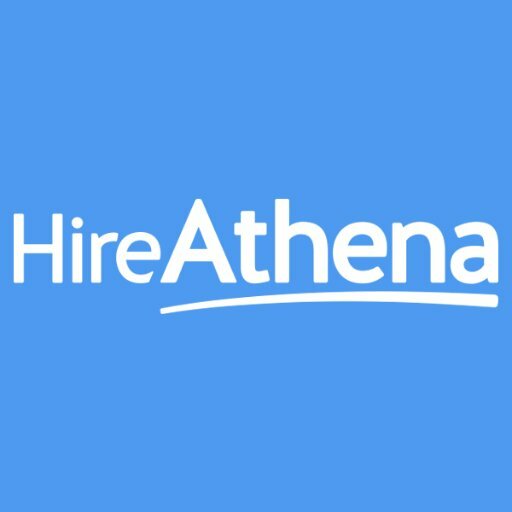 Why HireAthena is a Top Business Technology: It's easy to set up and have running within just a couple of days, and easy for your team to use and access 24/7. They even have their own team of bookkeeping, payroll, and HR experts available whenever you need them. 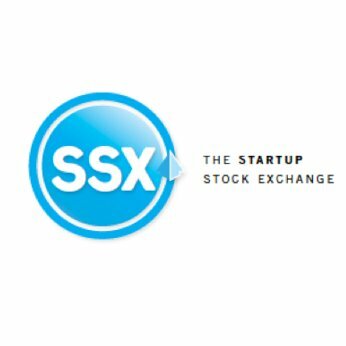 Startup Stock Exchange is a unique marketplace in which investors buy and sell public shares in startups. Why Startup Stock Exchange is a Top Business Technology: For entrepreneurs, it provides easy access to investors and funding, making it possible to launch your business when you're ready. Investors, meanwhile, get a chance to invest in promising, vetted startups with no minimum investment or income necessary. U Grok It is a smartphone RFID platform that offers organizations an affordable and efficient RFID reader with flexible development tools. Why U Grok It is a Top Business Technology: Users can identify and track inventory items, quickly locate specific items, efficiently inventory whole groups of items, and more. It works seamlessly with Android, iOS, and Windows smart devices; check out their website to learn more about the platform. Bolstr offers fast, flexible small business loans that are tailored for each business' needs. Why Bolstr is a Top Business Technology: Monthly repayment on each loan is proportional to sales, so your business will never be stretched too thin to repay. The application process takes just a few minutes, and once you send it in, you can get your funding within a week. HouseCall is mobile service business software that lets you run everything from your phone, from scheduling to dispatching to credit card processing. Why HouseCall is a Top Business Technology: With HouseCall, your employees will get a notification on their phones when a new appointment is set, and you can easily chat with all of them on the go. It even integrates with QuickBooks: all it takes is one click to import job history, customer, and price lists to your online account. CreatorUp aims to guide businesses through the challenging, ever-changing digital world as a digital creative studio and a leading digital media training company. Why CreatorUp is a Top Business Technology: They offer expert training so your team can build the skills they need to create incredible content for social media. They're also a production company: just tell them what you want, and their crack team will create the content for you. Planet Soho offers a simple, fully integrated toolkit so you can manage your invoicing, payments, online sales, and more. 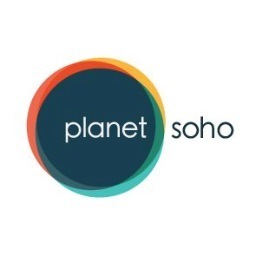 Why Planet Soho is a Top Business Technology: Their invoices and billing feature is easy to use and integrates with all aspects of your business management suite, including inventory and payments, so you can easily track everything in one place. They even offer online business cards, contact management, and a spot in their online business directory. Zenput offers a new way to manage a multi-unit business, putting projects, tasks, checklists, reports, and much more all on one platform. Why Zenput is a Top Business Technology: Their mobile platform makes it easy to reach field employees to assign tasks, while their desktop platform allows supervisors to track progress, access and analyze data, and more. They serve the restaurant industry, convenience stores, retail businesses, and much more, offering a way to streamline operations. Pioneer Square Labs is a startup development studio; they develop ideas internally, then either validate them or kill them. Why Pioneer Square Labs is a Top Business Technology: They're looking for experienced, knowledgeable, and driven entrepreneurs who want to build and run a startup that's ready to take off. They test hundreds of ideas, only selecting the very best, and offer their teams their very best shot at gaining traction in the market. Yaware creates affordable enterprise software, including business and productivity apps, time management software, and more. Co-founder and CEO Ruslan Savchyshyn is a self-taught programmer who has been working for five years as an outsourcing partner of several U.S. enterprises, while COO and co-founder Oleg Cherevatyy began his career as a front-end web designer and content manager and controls the design and creative content of Yaware's sites. Why Yaware is a Top Business Technology: Their apps can help just about any business reduce costs by measuring data from any part of the business and offering actionable insights. The reports their productivity apps create will help your business to stay agile and keep growing. Bizzy offers ecommerce marketing tools, including a state-of-the-art email marketing platform that aims to cut through the noise, connect with customers, and increase conversions. Why Bizzy is a Top Business Technology: They use a simple customer segmentation system so you can easily send the right message to each individual customer and drive their first, or next, purchase. Their email marketing templates are beautiful, engaging, and can be ready to go in mere minutes. PopUpsters is a resource for vendors, makers, and artisans that helps them connect with the events where they can sell their wares. CEO and co-founder Aaron Lander has worked in the tech industry with companies like AgLocal, Nomic, and UClass, while co-founder and Director of Product Brina Bujkovsky is a seasoned business leader who was CEO of The Younique Boutique, Inc., for over a decade. Why PopUpsters is a Top Business Technology: Vendors can create a free portfolio, search for great events, and apply to attend with one simple click. Event organizers, meanwhile, get tons of great vendors to choose from, and it also streamlines the vendor payment process. WorkHands is a job listing site built exclusively for the skilled trades. Why WorkHands is a Top Business Technology: Visitors can search for jobs by industry, location, state, or company to find exactly what they're looking for. WorkHands offers the largest online skilled trade network, and employers can tap into it easily just by posting a job notice. inKind's mission is to provide 0% financing to local businesses with good practices that improve the lives of their workers, their community, and the environment. Founder and CEO Johann Moonesinghe has experience with how difficult it is to find fair funding options for local businesses, and aims to change that and help create sustainable small businesses. 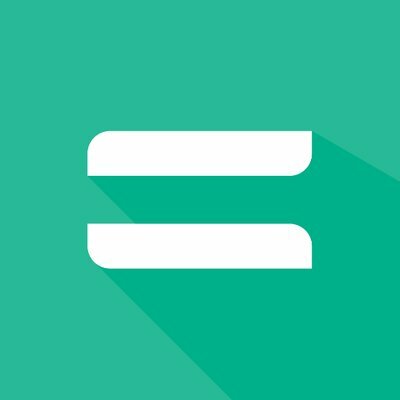 Why EquityEats is a Top Business Technology: If you visit their website, you can apply for financing, and they'll get back to you within 24 hours. They have already financed 51 local businesses to the tune of $3.1 million; yours could be next. SayHi Translate is a universal voice translator that lives in your pocket, helping you communicate around the globe. Why SayHi Translate is a Top Business Technology: Just open the app, select the languages, and speak into your device; you can have full conversations in two languages without the need for an interpreter. It offers over 95% accuracy and even understands specific dialects of languages like English, Spanish, and Arabic. Kit is a virtual marketing assistant that will help you market and grow your business at any stage. Why Kit is a Top Business Technology: You can communicate with Kit via SMS: it will offer proactive marketing suggestions, and all you have to do is say ""Yes"" and Kit will take care of the rest. It can create highly-targeted Facebook ads, send personal thank-you's to customers via email, and even manage other apps you use to run your business. Robin Technologies aims to make home ownership easier by automating your yard work. Why Robin Technologies is a Top Business Technology: Just pick your preferred day in their simple interface, set the frequency, enter your payment details, and watch your yard become beautiful. They employ only trusted professionals and offer a money-back guarantee and online customer service so you can spend more time enjoying your yard, and less time working in it. RecruitLoop offers on-demand recruitment services for employers of all sizes. CEO Michael Overell previously worked in technology and telecommunications as a consultant with McKinsey. Why RecruitLoop is a Top Business Technology: They'll connect you with expert recruiters and sources to provide world-class hiring support at a fraction of the cost of traditional recruitment. They can provide you with a curated list of candidate profiles based on your needs, or match you with one of their experienced recruiters to help with any part of your hiring process. 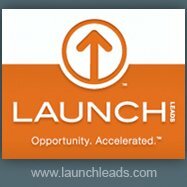 Launch Leads is a B2B sales generation company that helps companies scale faster and more efficiently by assisting with client acquisition. 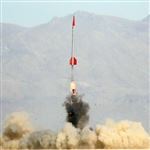 Launch Leads is Founder and Chairman Brandt Page's third successful business venture thanks to his focus on high-quality service and constant innovation. Why Launch Leads is a Top Business Technology: They will provide you with a highly targeted list of leads and schedule times for you to talk to them, saving you time and increasing your ROI. Their services allow your sales team to focus on only the best-quality leads so they can focus on what they do best: selling. 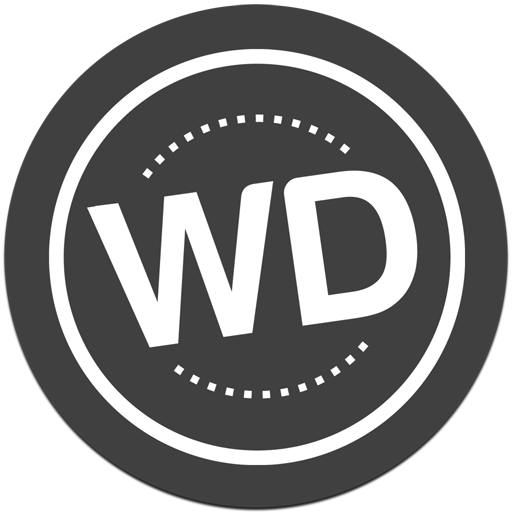 WordWatch is management software for Google AdWords that provides automated bid management for AdWords and Google Shopping. Why WordWatch is a Top Business Technology: Their sophisticated algorithms will do the heavy lifting of managing your bids, working 24/7 to save your business time and money. With its simple interface, you can be up and running in minutes no matter what your PPC experience is. Vestwell is a service for financial advisors that aims to make providing retirement plan solutions easier than ever. CEO Aaron Schumm has over 15 years of FinTech and wealth management experience with companies like Citigroup and Northern Trust. Vestwell removes the friction points of confusion, cost and compliance overhead that come with traditional retirement plans. 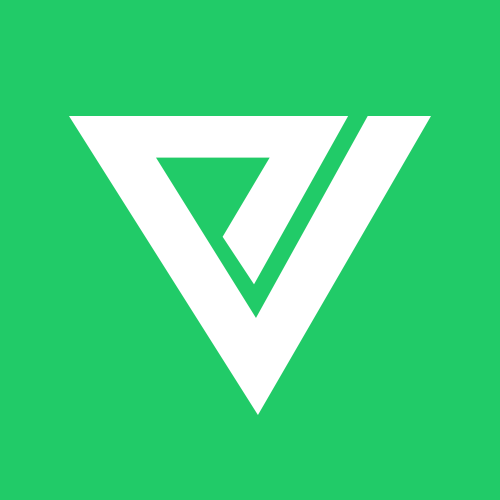 Vestwell’s digital platform allows for seamless plan design, automated onboarding, and low-cost investment strategies, making it easier for employers to offer a retirement plan. Vestwell becomes an extension of the financial advisor’s services, acting in everyone’s best interest, while scaling through technology and allowing financial advisors to focus on clients. Why Vestwell is a Top Business Technology: Their technology platform offers new tools for advisors to differentiate themselves by helping them generate a custom proposal in less than ten minutes. This means that advisors can not only serve their clients well, but take less time doing so and take on more clients. 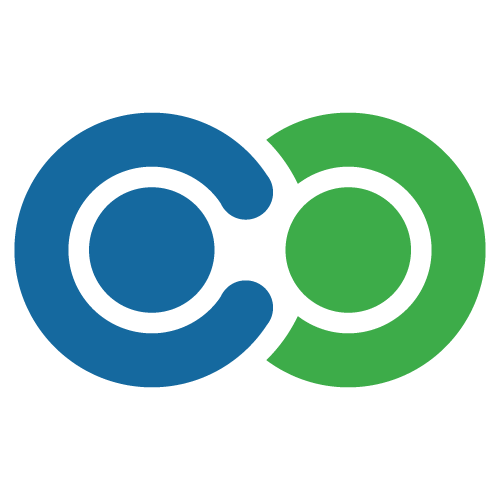 CRiskCo is a credit risk and analysis management platform that offers features for both business owners and lenders. 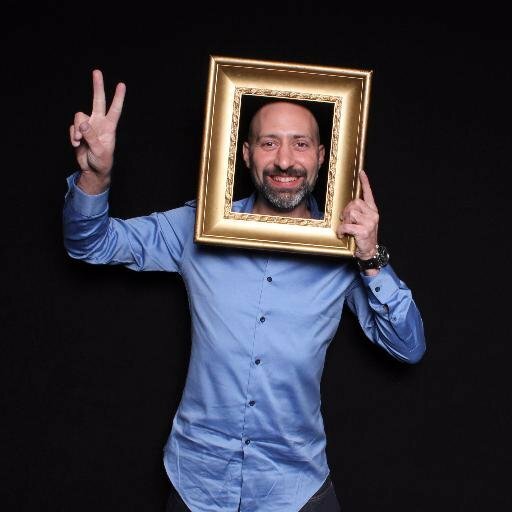 CEO Erez Saf is an entrepreneur who was previously CIO at Israel's first P2P lending startup. Why CRiskCo is a Top Business Technology: Business owners can take advantage of CRiskCo Monitor to control customers' credit lines, manage cash flow risks, and improve collection efficiency. Lenders, meanwhile, can use CRiskCo Approve to reduce fraud and bad loans, give credit within hours rather than days, and more. Youthful Savings aims to empower the next generation of entrepreneurs with financial education and entrepreneurship training. Why Youthful Savings is a Top Business Technology: They provide college and financial planning so students can save for higher education, and offer a curriculum in which youth can establish and meet their educational goals. They also offer unique, collaborative youth programs for schools, after school programs, and community organizations. dakwak aims to help real estate companies tap into markets they might be missing out on by providing website translation services. Why dakwak is a Top Business Technology: By localizing your website in multiple languages, it will turn up in international searches so you can reach new prospective buyers. dakwak offers easy, seamless integration and full customization of each version of your site, along with multiple levels of translation services and quality. 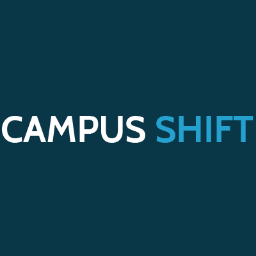 Campus Shift is a marketplace for college textbooks and materials that helps college students buy at the lowest prices and sell for the best. Founder and CTO Derek Haake found the textbook marketplace unfair as an undergraduate, and aims to make education more affordable for today's students. Why Campus Shift is a Top Business Technology: You can visit their site to compare prices on textbooks, e-books, and rentals, and even see how much your book is worth if you sell it back. They also offer a class notes marketplace and a place for college students to buy and sell their stuff to fellow students. 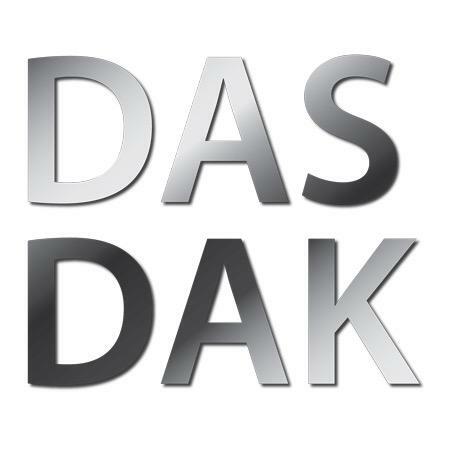 Dasdak offers mobile solutions for commercial venues like stadiums, convention centers, hotels, airports, and casinos. Why Dasdak is a Top Business Technology: For example, their platform makes it easy to implement a mobile order and delivery system in stadiums, so sports attendees can have refreshments delivered straight to them without missing any of the game. These kinds of new services improve the customer experience, driving repeat business and increasing revenue. 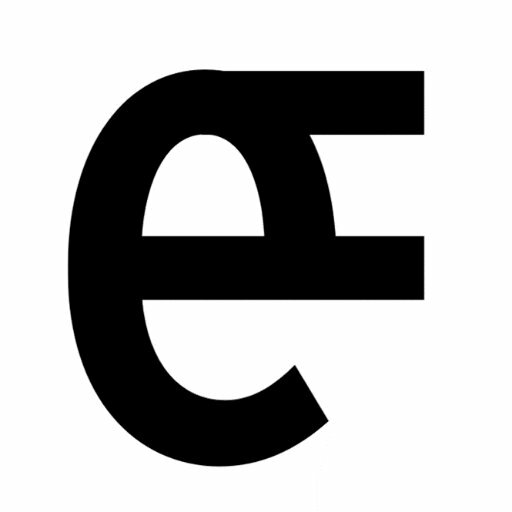 Equire helps investors and buyers find and invest in great traditional small businesses. Why Equire is a Top Business Technology: For buyers, they offer a deal sourcing service and a capital access platform, while investors can access a unique SMB equity asset class. Owners and intermediaries selling their traditional small business can list their company and gain access to Equire's massive database of active buyers. Pagevamp lets small business owners save time creating a website by simply turning their Facebook page into a stunning, professional site. Why Pagevamp is a Top Business Technology: You can even update the site from Facebook; every time you update your page, your website will be updated automatically. All of their sites come with built-in SEO tools, so your page will show up in searches, too. CUPS offers independent coffee shop owners a way to rethink their business with three distinct services, all designed to make your business take flight. Why CUPS is a Top Business Technology: They offer a supply store where you can order milk, pastries, and paper goods all in one place, at competitive prices. They'll even help you cover shifts by sending an experienced barista to your door when you need one. Axcient offers IT resilience and disaster recovery that consolidates and converges your infrastructure and workloads in a single cloud platform. Why Axcient is a Top Business Technology: Their on-demand model can reduce complexity and IT costs by up to 80% while giving your business the resilience and agility of a leading enterprise. Their single platform can handle backup, recovery, archiving and compliance, copy data management, and more. Share on Facebook "Best Business Technology"